• We depart on our overnight flight to Berlin. • Upon arrival, we meet our local tour guide and begin our tour of Berlin, Germany's capital, reunited in 1989, and home of Germany's largest Jewish community, with a tour of the Mitte, Berlins historic center district. • We see Checkpoint Charlie, the East Side Gallery, featuring artwork painted on the Berlin Wall, the Berlin Holocaust Memorial, the Burning of the Book Memorial and more. • We check into our hotel with time to refresh. • Tonight, we enjoy a welcome dinner together at our hotel. • We start our day at the Gleis 17 Memorial and continue to the Wannsee House, where the Wannsee conference took place and the “final solution” of the Jewish question was decided. • We continue to Potsdam. On the way, we cross the Glienicke Bridge, a famous exchange point for Soviet spies during the days of the Cold War. In Potsdam, we view the stunning Sanssouci Palace and Gardens, built by Frederick the Great. • We continue to Cecilienhof Manor, site of the famous 1945 meeting between Truman, Churchill and Stalin. 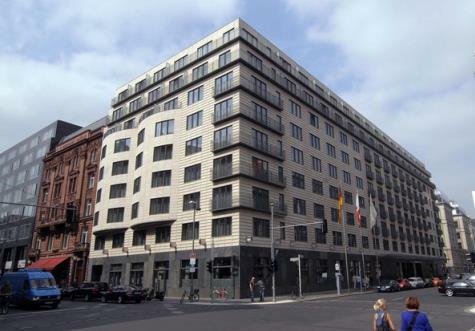 • Later this afternoon, we return to Berlin and meet Professor Stephen Berk, who arrives this afternoon, for a lecture in a private room of the hotel. • Tonight, we enjoy Shabbat services with the local community at the Pestalozistrasse Synagogue, followed by Shabbat dinner together. DAY 4: Saturday, June 15, 2019: SHABBAT SHALOM! • Morning at leisure. You may choose to join services at one of the many local synagogues or explore this beautiful city at your own pace! • This afternoon, we enjoy a walking tour of the Old Jewish Quarter, revolving and changing. • We learn where Otto Weidt, Berlin's own “Schindler,” ran his workshop for the blind, and see where the successful women's protest helped save almost 2,000 Jews from deportation to the death camps. • The remainder of the day is at leisure with dinner on own this evening. • Morning lecture with Professor Berk. • This morning, we stop and see the Oranienburgerstrasse Synagogue, then tour the beautiful Rykestrasse Synagogue, Germany's largest synagogue, reopened 70 years after being damaged severely during Kristallnacht. We also view the Rosenstrasse Memorial, site of a significant peaceful protest by Aryan wives and relatives of Jewish Germans rounded up for deportation. • This afternoon, we explore one of Berlin's most fantastic museums, The Pergamon Museum at Museum Island. Main tour participants depart the United States this evening. • We transfer by bus to Prague, where we meet up with the main tour participants who arrive today. • We arrive in Prague, the Czech capital, also known as "the City of One Thousand Spires" with its Baroque churches, promenades, parks and ancient city walls. • This afternoon, we enjoy a tour of Golden Prague, including the 1,000-year-old Hradcany Castle and St. Vitus' Cathedral, the Charles Bridge and the Astronomical Clock. • Tonight, we enjoy an orientation lecture and welcome dinner with Professor Stephen Berk. • Morning lecture with Professor Berk at the State Jewish Museum. • We enjoy a sightseeing tour of Jewish interest sites, with a visit to the Old City to view the Josefov, Prague's Jewish town with its Old Town Hall, the Alt-Neu Synagogue, the Pinkas Synagogue, the Maisel Synagogue, the Spanish Synagogue, and the Jewish cemetery. • Today, we travel to Terezin, the former "model" Nazi concentration camp. We enjoy a lecture with Professor Berk before visiting the Fortress, Jewish cemetery, Museum, the hidden synagogue, the memorial monument and the town itself. 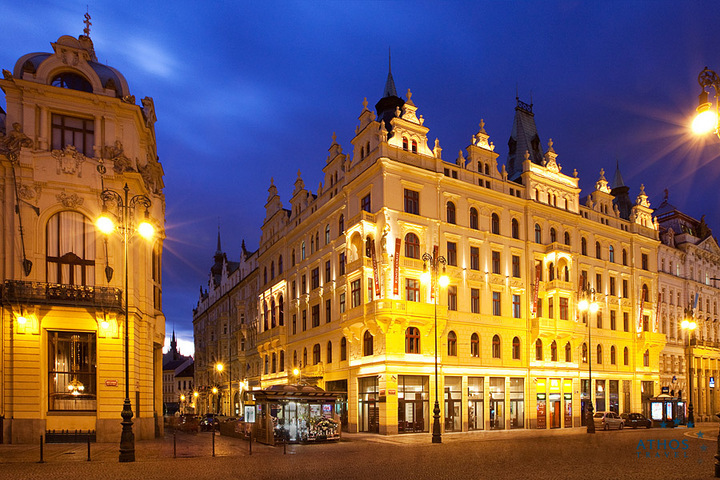 • We return to Prague for an evening at leisure and dinner on own. • We transfer to the airport for our short flight to Budapest, the capital of Hungary. Situated on the opposite banks of the Danube River, the former cities of Buda and Pest are linked by a series of graceful bridges. • Upon our arrival, we enjoy a panoramic bus tour of Budapest, including the Parliament, the Royal Palace, and the Castle Hill area, as well as the Fishermen's Bastion, Coronation Church, Hero's Square and Gellert Hill. 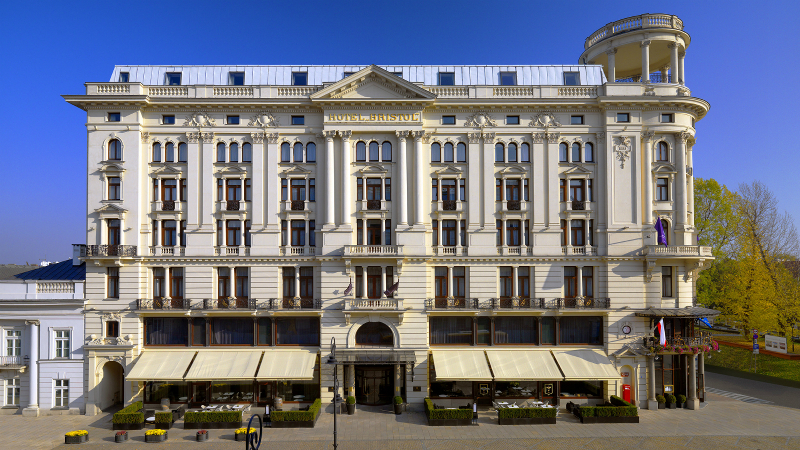 • We check into our hotel and enjoy the evening at leisure to discover Budapest and have dinner on own. • We begin our day at the Raoul Wallenberg Memorial Statue and then visit the Dohany Synagogue, the 2nd largest synagogue in Europe, followed by the Jewish Cemetery and Museum. • In the evening, we enjoy Shabbat services at the Dohany Synagogue, followed by Shabbat dinner together at our hotel. DAY 11: Saturday, June 22, 2019: SHABBAT SHALOM! • This morning, we invite you to join us for optional Shabbat services. • The afternoon is at leisure to explore this beautiful city at your own pace. • Evening on own for dinner and exploring. • This morning, we depart for Krakow, driving through the lovely hills and countryside of Slovakia, past the Tatras and into the Great Plains of Poland. Professor Berk lectures on the bus. 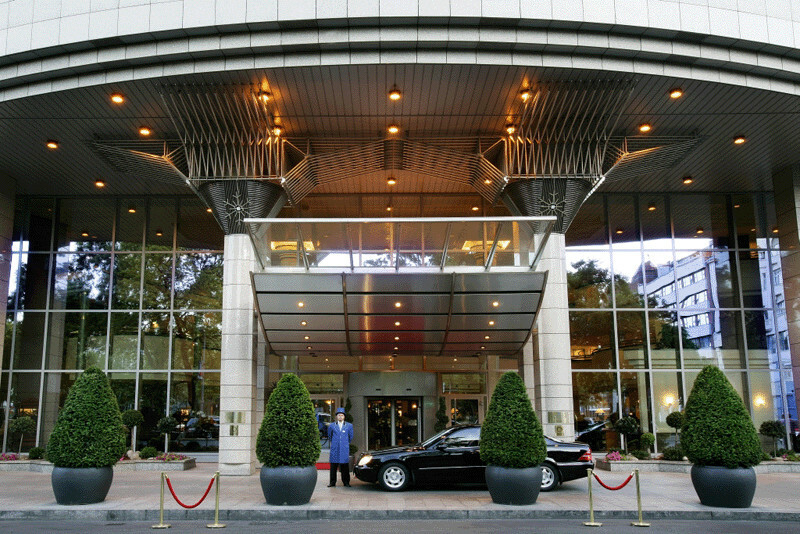 • Upon our arrival, we check into our hotel and refresh. • This evening, we enjoy dinner together with guest speaker Jonathan Ornstein, Executive Director of the Krakow JCC, who updates us on the many exciting projects they have undertaken in what is now a growing and flourishing Jewish community in the heart of Galicia. • This morning, we travel to Auschwitz-Birkenau, the infamous Nazi concentration camp, where many Jews and others perished in WWII. Here, we see the museum and pay tribute to the victims. • We enjoy dinner together this evening at a local restaurant. • Our morning city tour includes Wawel Castle, St. Mary's Church, the Renaissance Cloth Hall and other ancient landmarks. • This afternoon, we enjoy a Jewish heritage tour that includes the Old Jewish District, Kazimierz, where we see the Old Synagogue (a massive fortress-like building erected in the 15th and 16th centuries), the "Temple," and the Remuh Synagogue. • We continue to the Little Museum at the Drug Store inside the Jewish Ghetto, Schindler's Factory, and the Plaszow Concentration Camp. • This morning, we travel by train to Warsaw and check into our hotel. • After lunch on own, we drive through the Warsaw Zoo, where we visit the zookeeper's house owned by the couple that saved many Jews during the Holocaust, now memorialized in the movie “The Zookeeper's Wife”. • Later this afternoon, we explore the New Museum of the History of Polish Jews (POLIN). • Tonight, we meet with members of Beit Warszawa, the new progressive congregation in Warsaw. We enjoy dinner and hospitality as we learn more about the Judaism alive in today's Poland. 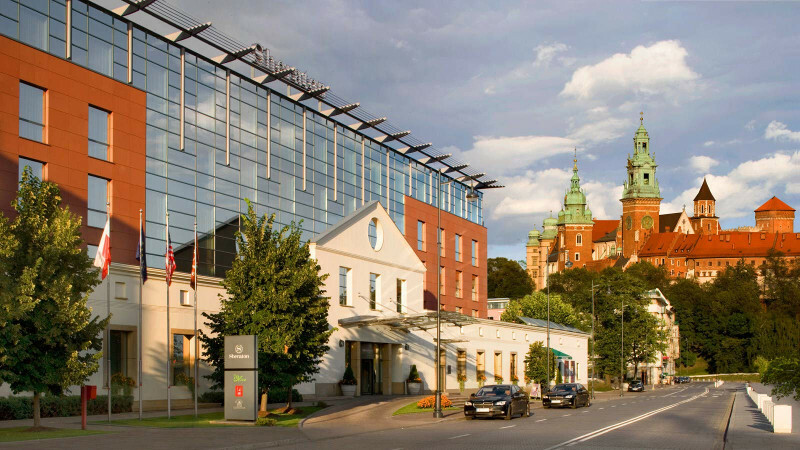 • Today, we enjoy a city tour of Warsaw including Chopin's Monument, the Royal Castle, the Jewish Historical Society, and walk to Old Town Market Square and Lazienki Park. • This afternoon, we set out on a sightseeing tour encompassing Nozyk Synagogue (the only surviving synagogue in Warsaw, founded in 1900), the Warsaw Ghetto, the Jewish Resistance Bunker at Mila 18, the Stawski Street buildings (where the SS had their headquarters) and the Gensa Cemetery (established in 1806, containing the graves of about 250,000 people and known as the largest cemetery in Poland). • Tonight, we enjoy a special farewell dinner together, followed by an elegant Chopin concert! • We transfer to the airport for our flight home, landing later today.